My broccoli was a bust (I blame early warm temperatures and late transplanting), so I had a moment of silence for the failed broccoli, then I pulled it out and replaced it. Now I’ve got green beans and collard greens in that spot. With the warm temperatures, the beans popped up in just a few days. It always seems like where one plant fails, another succeeds. This is my first year growing kale and collard greens, and they are producing like crazy, as are my snap peas. Every couple of days I go out and trim off a few leaves around the outside, and it’s way more than I can use for smoothies. Here you see nearly a pound of kale. The collards are less prolific, but still more than I know how to use. Please, comment with recipes so these greens don’t go to waste! I know collards are sort of like cabbage, so I’m thinking about using them as a substitution. Would that work? I’d love ideas of how to cook them up plain (steam them with butter or lemon?) as well as dishes that incorporate these greens. When are you planting? Lettuce likes cooler weather (hot weather gives it a bitter taste). That may be difficult in your climate but if you can plant it when it is cooler and keep it shaded then the flavor may improve. Not enough water can also cause a bitter flavor. Melons need a long warm growing season. How do you decide when to water? I find that many people don’t water deeply enough. If you can water at the soil level instead of from overhead that is best. Check soil moisture by sticking your finger into the soil up to your first knuckle. The soil should be just barely moist. Miracle Grow will not help. Ahhh I am in Arizona and I cannot for the life of me get my veggies to grow in my square foot garden. I used Mel’s mix and then tried Miracle grows version. I fed it organically and watered it faithfully. All I get are mini veggies and my melons don’t get very big before they die. All my lettuces grow like a champ, but no matter what season they taste terrible. All of the lettuce types. I gave up and planted flowers. The birds like to nap in it. What could I be doing wrong? We spray for scorpions, so I cannot use the ground soil if we want to be organic. I cut up the kale and blanch it by boiling it for two or three minutes, then rinsing in cold water. To cook the kale, I start by cooking bacon and onions on low heat in a large skillet until the onions start to soften and the bacon is cooked. I add the cut kale and stir, then cover the skillet. I stir occasionally, letting it cook for about 10 minutes. This is the only way my husband will eat kale. Your kale looks great! My husband and I just tried a brunch item with greens in it — a spin-off of Eggs Florentine. I bet kale or collards would be great there. It’s in the newest post on my blog. oops – I just realized – my posted comments are on the pineapple smoothie post instead of this one. I had posted 2 recipes for Collard greens there! 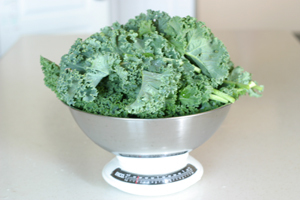 Re Kale – I like to freeze some – no blanching – just fresh frozen – then powdered and back in the freezer. I use this to add in bits in different soups, etc. You can cook kale like any other green or like I do collards (see in the pineapple smoothie recipe – sorry – my “screw-up”. Or you can steam and serve with a bit or butter and a hint of lemon juice to bring up the flavour. this year the birds have had a field day on ALL of my greens. I plant the greens, greens come up (we are talking mustard – 4 kinds, 2 kinds of turnip greens, ALL of my kale – 4 kinds, both of my collard varieties, and even some of my swiss chard – two varieties completely, one partially and I have NO idea where the other variety went), it rains, and the birds throw a party. We are NOT talking just 1 or two birds – we are talking 10 – 20 birds – and all their aunts and uncles waiting for their turn!!!! I go out, chase them off – and there is bare ground. This went on for 4 plantings (I kept thinking that with all the other good stuff out there the birds surely would want THAT and not MY stuff! OK – pick yourself up off the floor – and stop laughing! I did finally get the collards to come up – where their little stems are quite visible. No leaves – but lots of little stems! And some fat birds! My favorite way to use Kale is in Olive Garden’s Zuppa Tuscana Soup. paper towels, and cut into slices. pepper to taste, and simmer for another 10 minutes. Lower heat to low and add cream and kale. Simmer until thoroughly warmed and serve. 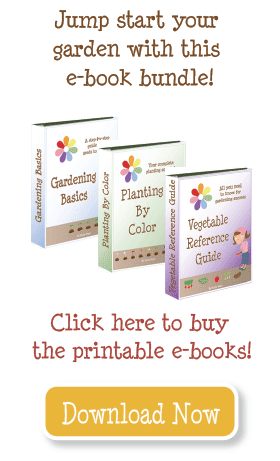 Here is a link to a farm website that had some great recipes. I put in kale as the main ingredient and a whole bunch of recipes came up – you can do it for any veggie you are wanting to cook! I have tried the colcannon – I think that it is very delicious! There are some great ideas here! 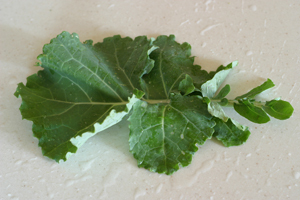 Young kale leaves are great in salads and other raw dishes. Collards and kale are both easy to freeze. I usually steam kale and collards after sauting garlic in some olive oil. Sausages are a great addition also. My other favorite way is kale in soup – especially a soup like Olive Garden’s Tuscan soup. We juice about two handfuls of kale with a whole lemon, two granny smith apples, a small piece of ginger. Sometimes we add an herb to the juice such as cilantro, parsley, or globe basil. It makes a wonderful juice in our masticating juicer. My wife sautéed kale with grape seed oil, crushed garlic cloves, red pepper flakes, and sea salt. Add some vinegar or even sumac to taste. It is a totally healthy dish. I’ve also used kale in various soups. I like the way it holds it’s texture after being cooked a while. Try this for freezing your greens for 8-12 months. Here are 2 of my favorite kale recipes! My wife cooks it in the oven with a little olive oil and some rice vinegar. It is sweet and crispy when she’s done. You could also boil it with rice vinegar but I think we liked the crispiness of the baked kale more. Like you, I used to cut off the outer leaves when they were small. I’d saute them in a little bacon grease with some crushed garlic until they were wilted. Yummy. I do love kale salad. I put in everything I can think of. Especially toasted pepitas. When I wash the kale, I use warm water, then I do what a friend calls massaging the kale, but I think of as strangling or squeezing the life out of it before I rip it up. The process makes the kale a little more tender when you’re eating it raw. I then dress my salad with salt and evoo. Of all the foods in the world, kale salad makes me feel the healthiest when I’m eating it. The better recipe I have for you is my own. I take all the greens I have to use up, rip out the stems and stuff the leaves into the biggest pot I have. I had a couple of inches of water to the bottom, a generous dose of evoo and a good couple splashes of tamari or aminos. I cover it all and cook it on low to medium stirring occasionally until there’s no water left and everything is nice and mushy. The stuff freezes well, it shrinks down to almost nothing, and it is really tasty on sandwiches. You can use it to replace a spread, or with one. I think it goes best on sandwiches with grilled portobello or lightly seasoned, breaded and fried fish with lemon. I just thought of a cookbook that is awesome you should get. It is called “Garden of Eating” by Rachel Albert. Totally worth it and has all kinds of vegetable recipes in it. There is so much you can do with it… When I am not feeling overly health-freaky I will cream it like spinach. I also saute it a bunch… chopped onions, olive oil, a little garlic… it is pretty tasty! For extra goodness, through in some feta or a splash of balsamic at the end. kale ! well, raw in salads of course. we always saute in olive oil w/ garlic, salt, & pepper and use anywhere we’d use spinach (eg. in pasta!) – i even wilt it and toss it in red pasta sauce! wilted on sandwiches/paninis… i stink at making kale chips but people die for those. this: is like my favorite new weeknight meal – we’ve substituted all sorts of greens (including chard & kohlrabi) for the collards and it’s all fantastic! i’m a vegetarian so we skip the bacon fat (southern roots be damned) and it’s still great. We mainly use our kale for juicing. I’ve also tried kale chips (lightly coat with oil, salt, pepper and bake for maybe 15 mins in the oven or until crispy). They are good that way. This is one of my favorite recipes for collard greens. So good! I usually double the batch and then freeze some in quart-sized baggies. Also, while I’m cooking sausages, pork chops, or chicken thighs, I remove the tougher veins from my collards and chop them up into bite-sized pieces. Then I rinse the collard pieces with water. When the meat comes out of the pan, the collard pieces go in with the water still clinging to the leaves. I turn the heap of greens over after a few minutes, then I put a lid on the pan for about 5-10 minutes and steam them. When they’re tender enough to eat, I add some salt or some balsalmic vinegar. This method is nice because the meat drippings give some flavor to the greens. It’s also quick and you only have to wash one pan. For you kale, have you tried kale chips? I make pesto using kale rather than basil. And I don’t use pine nuts, I just use whatever nuts I have on hand. I like kale pesto better than basil pesto anyway. You can freeze pesto, too. Hope that helps. Here is a recipe from the Croatian lady at our local farmer’s market. When I made it I added some butter to the dish at the end. My husband and I could eat this everyday, it’s that good. Hope you try it and like it. Peel and cube the potatoes, and cut the Swiss chard stems into small sections, split down the middle. Boil in salty water for about 7 minutes. I also have more kale than I can shake a stick at. 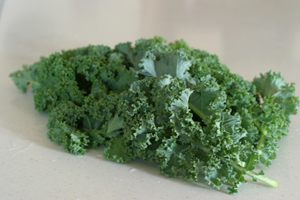 Here’s two of my favorite recipes — though they call for Tuscan, I’ve used a variety of kale and had great results.